I volunteer with a group of quilters who do community service. 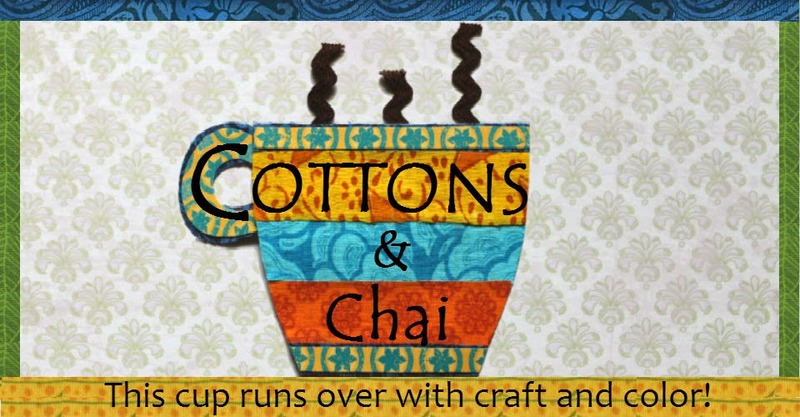 They take donated fabrics and add plenty of time, talent and love to make quilts to donate to local hospitals, domestic violence shelters, nursing homes and foster homes. The handmade quilts are a gesture of warmth and support to people who are going through a difficult time in their lives. Apart from the recipients, who benefits from this community service? The quilters themselves, of course. They spend time together, develop friendships from volunteering together and hone their quilting skills. In this group, many hands can be involved in working on a single quilt. Someone may use a pattern and cut up donated fabric to make kits for quilt tops. Then someone pieces the top together. We have 2 or 3 long arm quilters who do the quilting. Then a fourth person may put the binding on the quilt. Every time I made a quilt top for this group, or bind a quilt, I learn something new and get a little bit better at this craft. 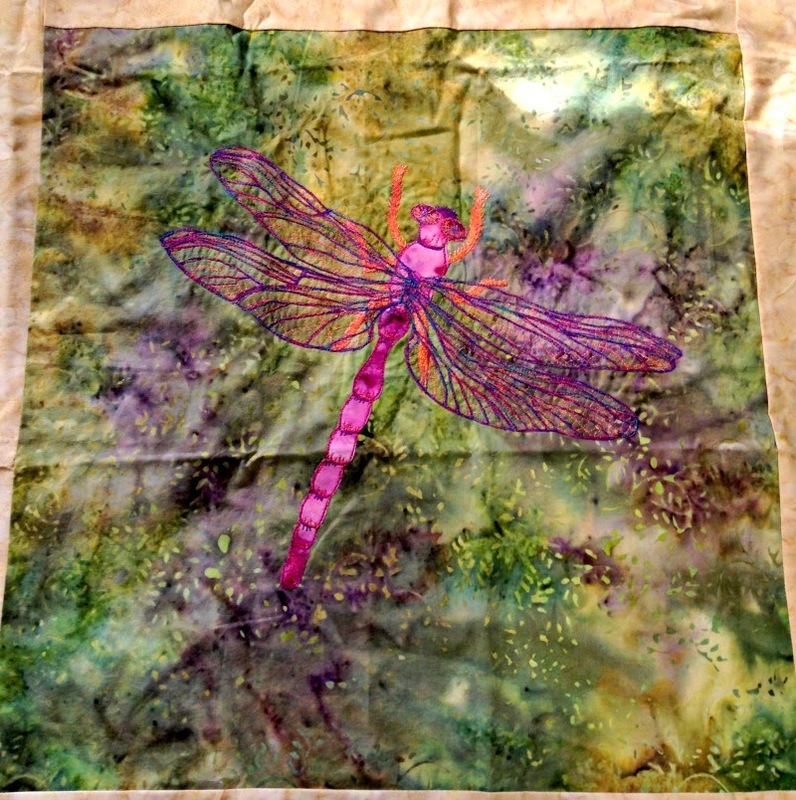 At one such meeting, a quilter pulled out a single block that she had made in a quilting workshop- it was a beautiful embroidered dragonfly on batik fabric. She did not have a use for the block- could we use it in a quilt for donation? I volunteered to take the block, plus an assortment of batik fabric- some strips and some larger pieces- and see what I could put together. Most of the batik I was given was pale colors. I started sewing strips around the center block, just adding them on more or less randomly to get the top bigger. This quilt top was looking boring. It needed a pop of color so I brought in the only vibrant batik I had on hand- a green/teal one. I decided to make six large (12 inch) blocks to add length to the quilt top and this rail fence tutorial was just the thing. I ended with a bright border all around. The quilt top is ready. 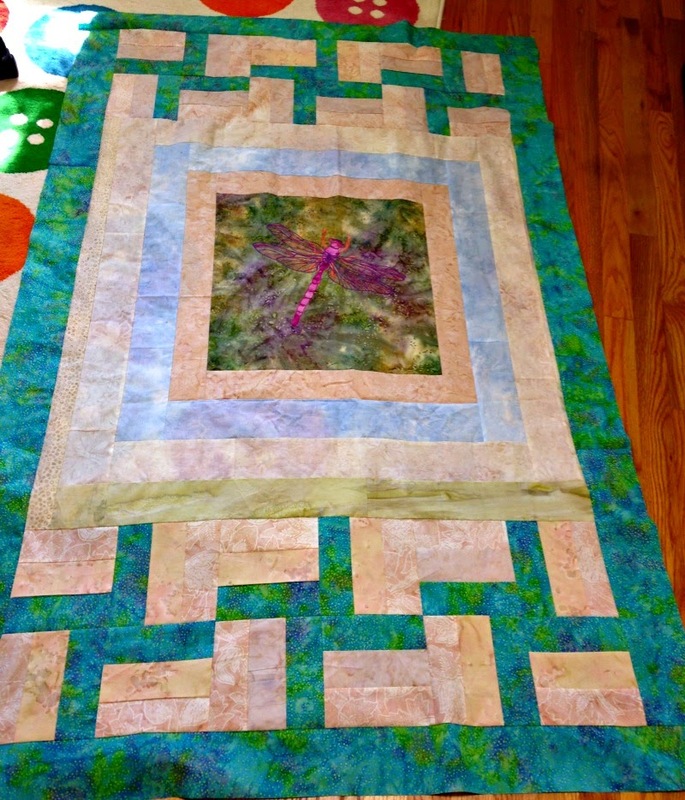 I enjoyed this modest challenge of building the whole quilt top starting with the center block. On another occasion, I picked up a kit from the community service team. 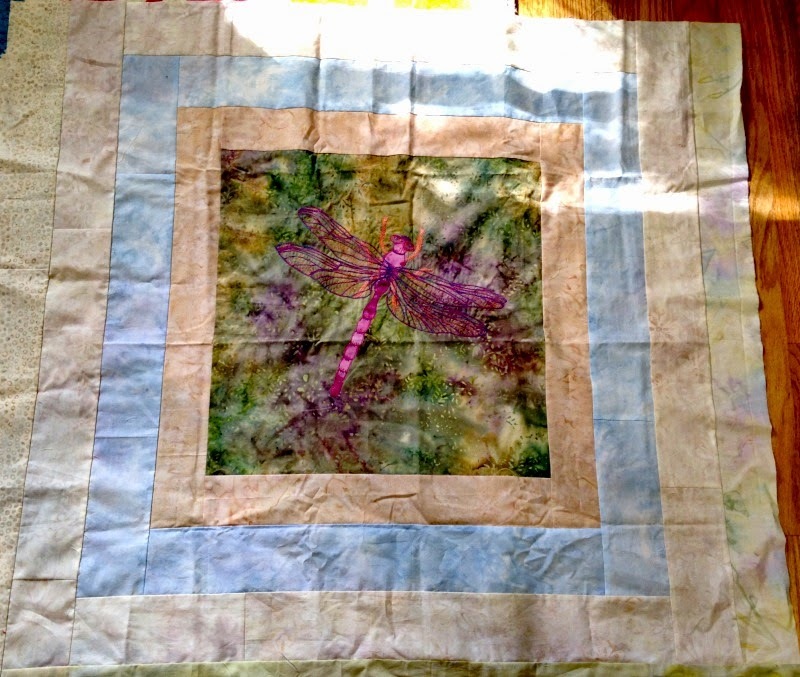 It was for a lap-sized quilt of Mary Englebreit fabrics, in a crazy nine patch design. Part of the magic of quilting is how clever the methods are- a few simple steps yield a complicated looking result. This kit contained 9 big squares and each was a different fabric. The instructions were to stack them up, make one cut, change the order of the pieces, seam together and repeat the steps 4 times, and magically, you get 9 blocks, each containing bits of all 9 fabrics. This was so easy and so very cool! I put black sashing between the blocks, sewed in the borders and seriously, this was one easy quilt top ready to be handed back for quilting and donation. Both the quilts look wonderful! I really admire the thoughtful gesture of your group of quilters. Its amazing to see your progress in every quilt you make, now it seems like as soon as you get pieces of fabric your mind starts figuring out how to arrange or re-arrange them as if you are solving a puzzle. :-) The end result is always so beautiful. Quilting for community service is the best thing to do but is there a time limit for you to finish your part of quilting? Both the quilts are beautiful! And for such a good cause. how beautiful! love the dragonfly and the teal is perfect!